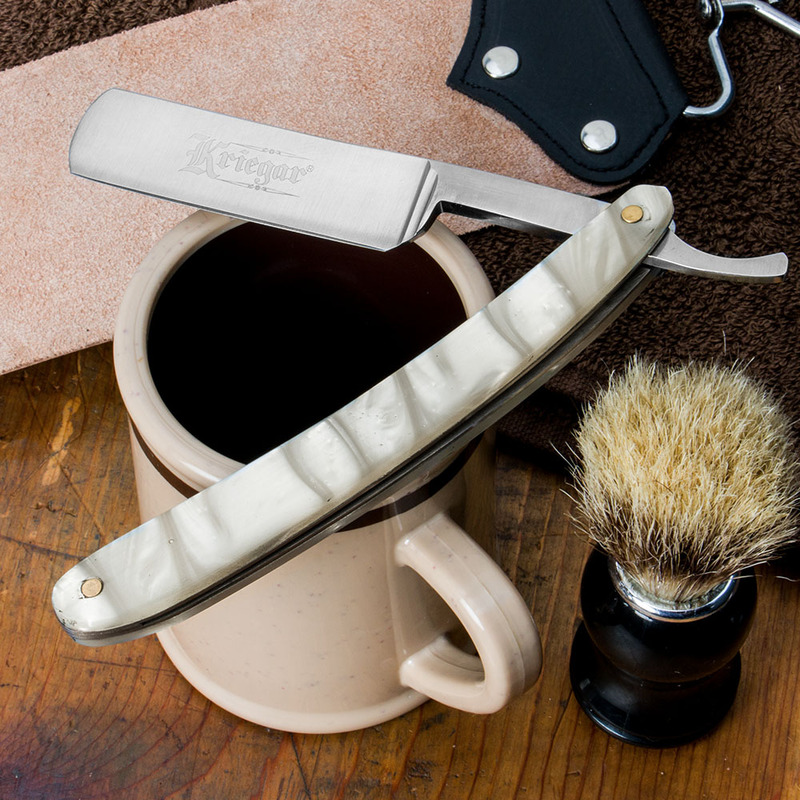 This "razor" comes sharp by knife standards, but is no where close to coming shave ready. The phrase "you get what you pay for" really comes into play with straight razors, if you're looking for a cheap razor to get started with, I suggest looking for a older used razor and not one like this. The blade on this razor is stainless steel and isn't the best for shaving, even with a razors edge. 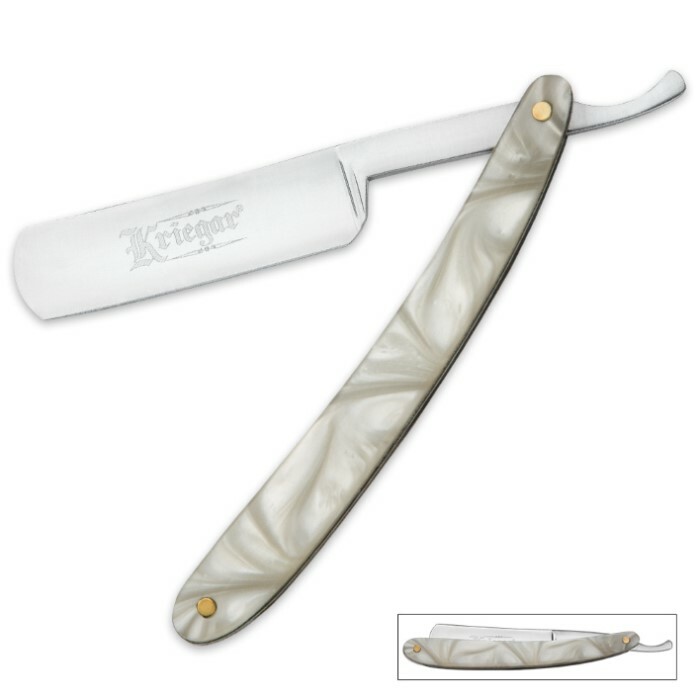 Now in saying this, I've owned this razor for several months and used it to shave on a regular basis, BUT I've also put a 18 degree edge on it and am in the process of buying a better straight razor for my purposes. In my opinion, save for a Dovo or a used razor. 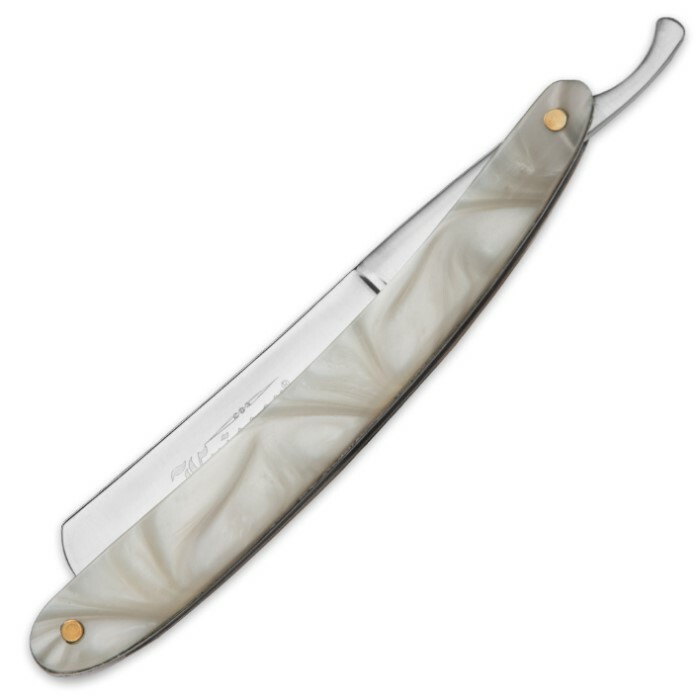 I've been kind of poking around for a decent straight razor I could actually use on my face. This razor came sharp on a scale of sharpness I would give it a good 9 out of 10. The constuction is solid and this is a great buy although now I just wished I had looked at all the handle colors first.